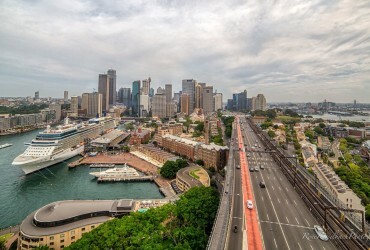 Home / Cruise Tips / Which Royal Caribbean Ship is Best for Families? 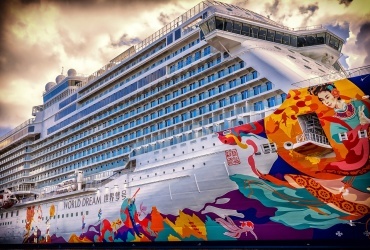 Family-friendly cruises have become a significant attraction for holidaymakers, and the cruise industry has evolved to accommodate the new generation. 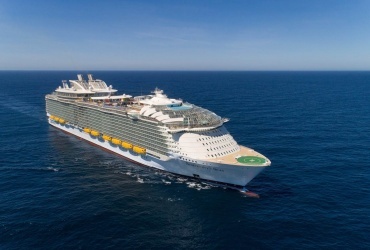 Royal Caribbean International is embracing the change by building mega-ships that resemble floating fun parks with attractions to satisfy the most active of children, without neglecting the needs of parents. 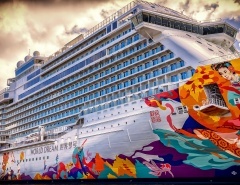 These vessels retain the opulent features familiar to mature-age passengers but also include an amazing array of fun-filled activities for kids of all ages. 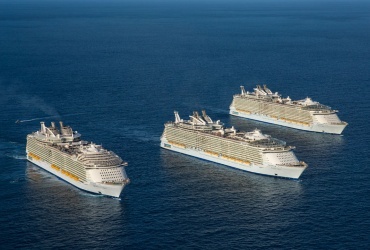 Allure of the Seas and Oasis of the Seas are the largest Royal Caribbean ships, built with the entire family in mind. 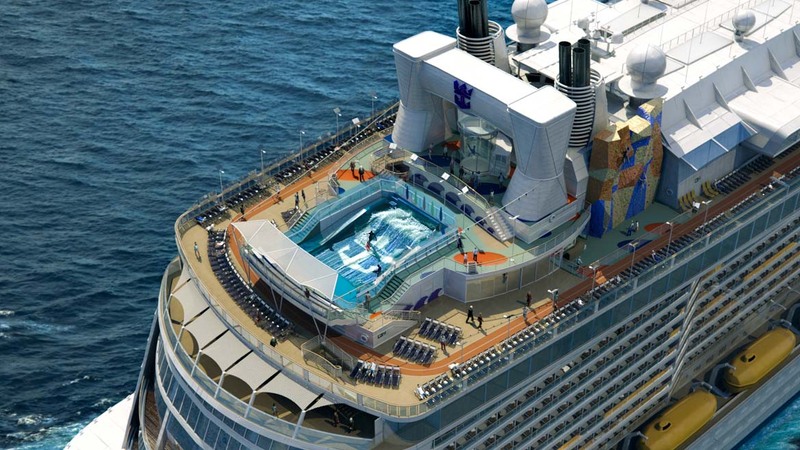 On each vessel there are four swimming pools of varying depths and styles so even toddlers can get in on the action. The 3D theatre will impress everyone and rock-climbing walls are sure to attract energetic teens. Allure and Oasis visit tropical paradises, guaranteeing plenty of fun in the sun, but there is also the opportunity to cool off at the onboard ice-skating rink. FlowRider surf simulators are a challenge that even dad might take on, and the zip line is a great way to enjoy the ride from another perspective. 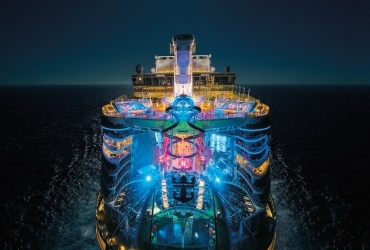 If that’s not enough to tantalise your senses, the recently launched Quantum of the Seas (and the Ovation of the Seas) has burst onto the scene with a whole new range of activities and entertainments. 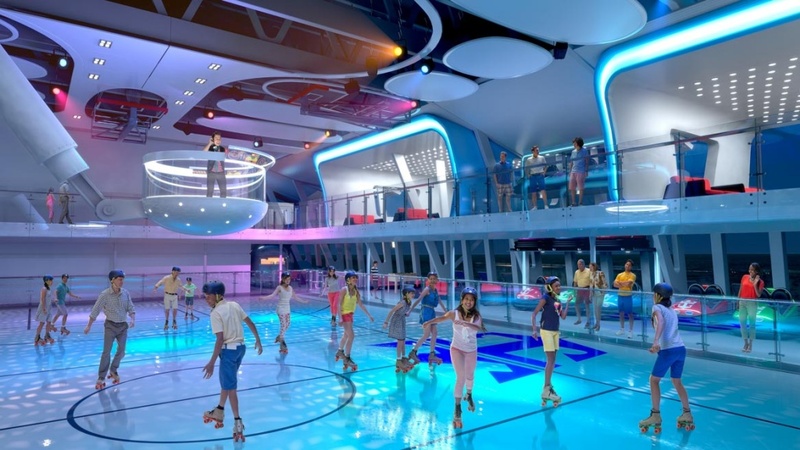 Quantum passengers are in for a real treat as they experience the all-new SeaPlex, bumper cars and a circus school. 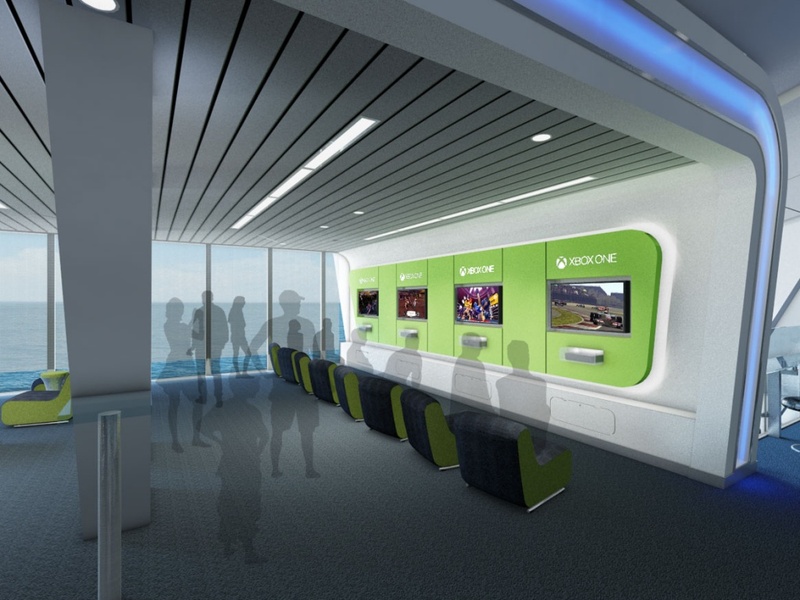 The expansive ship’s promenade is another onboard destination that will thrill the young ones. Here the family will enjoy parades, music and special events. 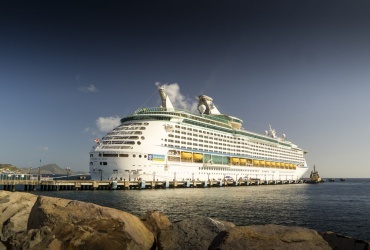 Parents and guardians need down time while on vacation with the kids, so Royal Caribbean provides in-cabin baby-sitting and nursery care services. 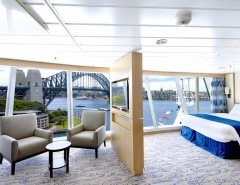 Evenings on these vessels are the adults entertainment time for intimate dining, stage shows, a flutter at the casino, a relaxing visit to the solarium or a simple saunter around the deck while enjoying the sea air and amazing sights. 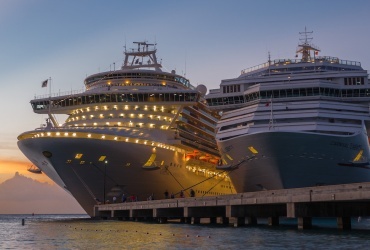 Until a few years ago most cruise ships divided kids clubs into just a couple of age groupings, meaning some activities were not specifically age appropriate. This isn’t a problem on Oasis and Allure, with five different clubs and a worthy range of fun activities. 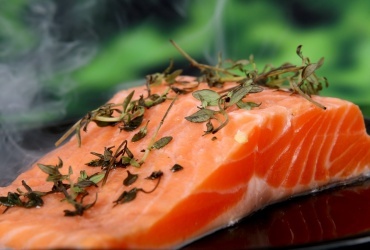 Many older teens appreciate the evening Broadway-style stage shows, and the breakfast experience accompanied by DreamWorks characters is not to be missed. The little ones will be thrilled to meet their heroes. 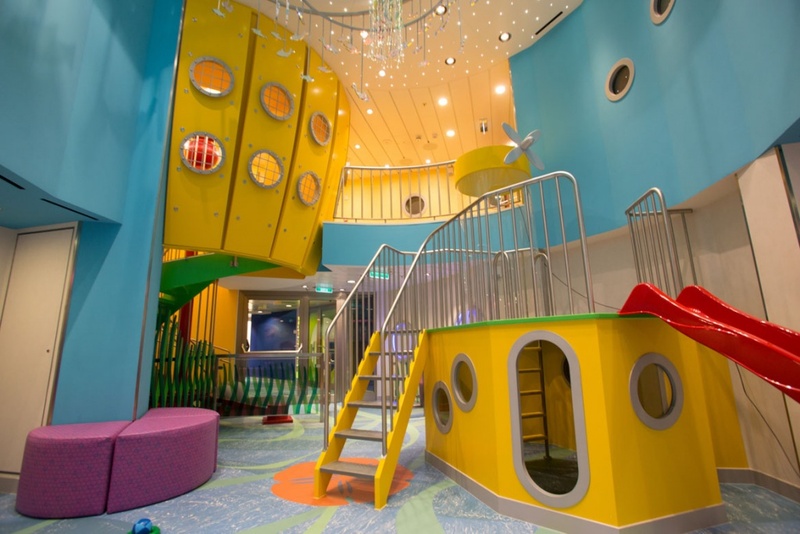 The kids clubs on Oasis and Allure are the largest at sea, with plenty of room for arts and crafts, video games, computers, a science lab and even a toddlers-only splash pool. Older teens feel pretty cool hanging out at the Fuel nightclub or the coffee-house style Living Room. 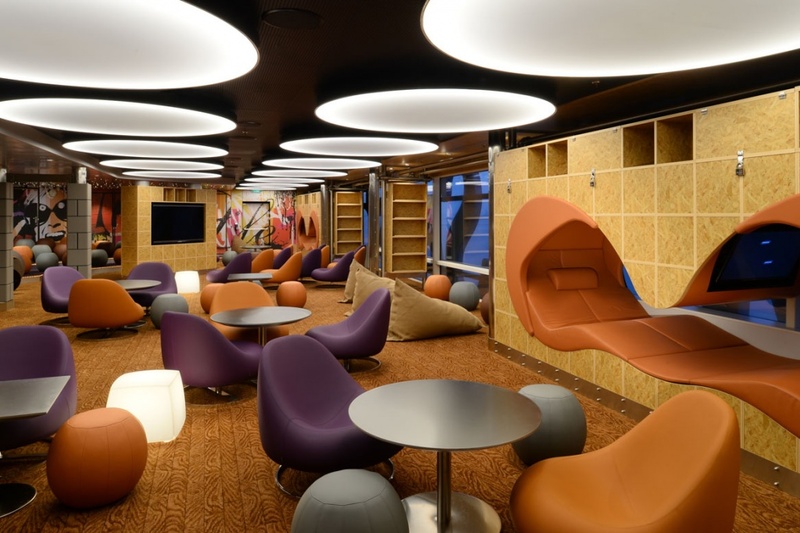 Music and entertainment is big on Royal Caribbean, and teens can learn a few new skills at the DJ Academy. Artistically inclined kids appreciate Crayola offerings of creative artwork supplies. DreamWorks introduces meet and greet with characters including Kung Fu Panda and Shrek; guaranteed to amaze the youngsters. The 1950s inspired Johnny Rockets luncheonette is ever-popular with hungry kids (and parents) who need to fuel up before embarking on more onboard fun. 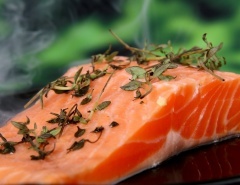 Other dining options include a Mexican cantina and even a hot dog eatery. 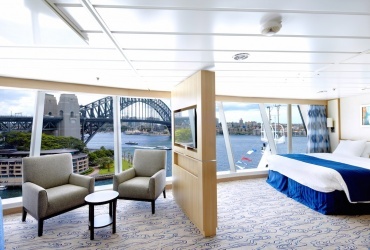 Families are accommodated in style on Allure and Oasis. 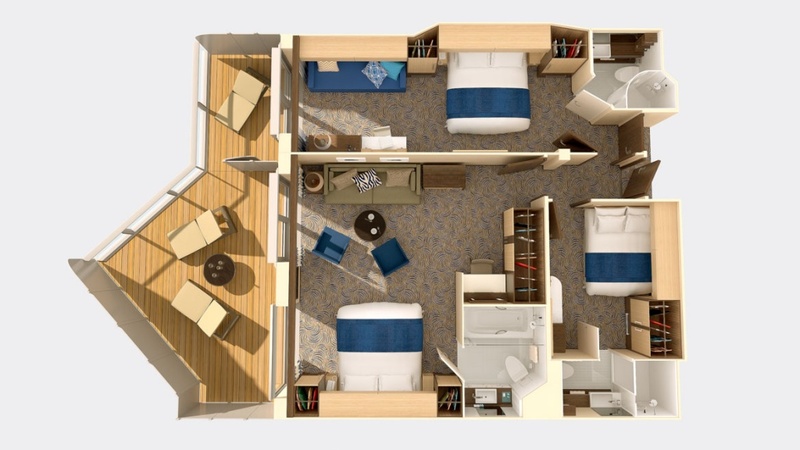 Staterooms and loft suites provide plenty of room for everyone, although kids will probably spend most of the time having fun around the ship. 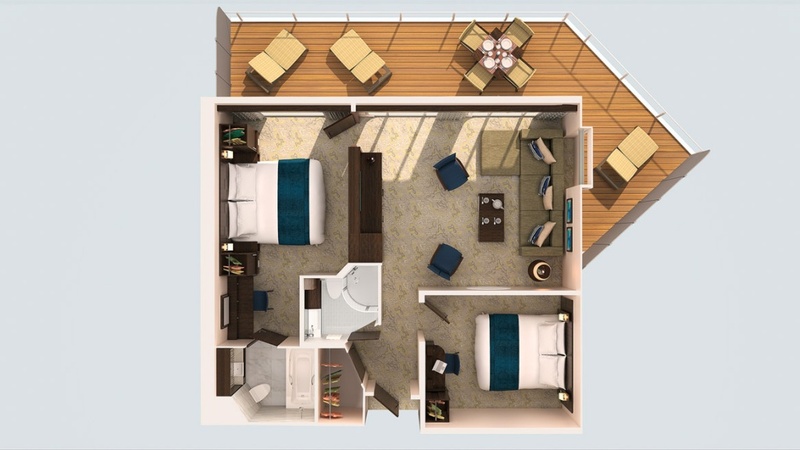 The largest Royal Family cabin sleeps eight; enough room for most extended families. These vessels even provide special teens spa treatments. 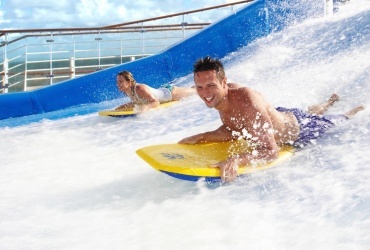 No one is overlooked on Royal Caribbean, where cruising is definitely fun for all the family. 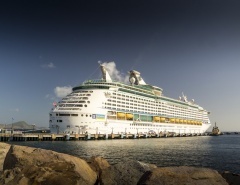 Let me know in the comments which is your favourite Royal Caribbean cruise ship!